Race to support three great community organizations! 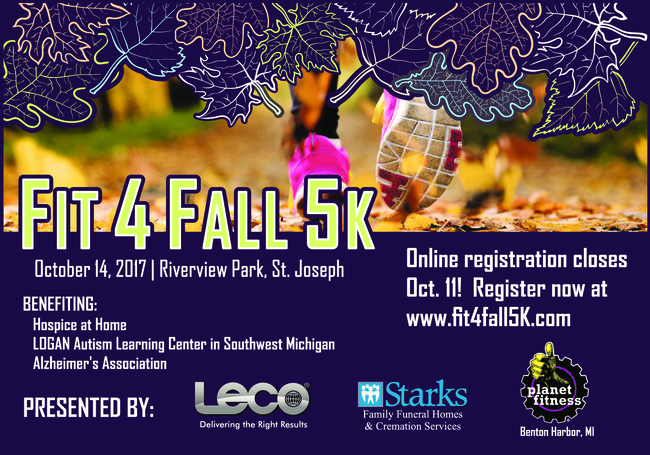 Help raise funds to support Hospice at Home, the Alzheimer's Association, and the LOGAN Autism Learning Center in Southwest Michigan. Race begins and ends at Woodbine Lodge, taking runners and walkers through Riverview Park's scenic trails and wooded terrain. St. Joseph Today works to promote St. Joseph and its surrounding communities as a destination to visitors, and a great place to live and work to residents.